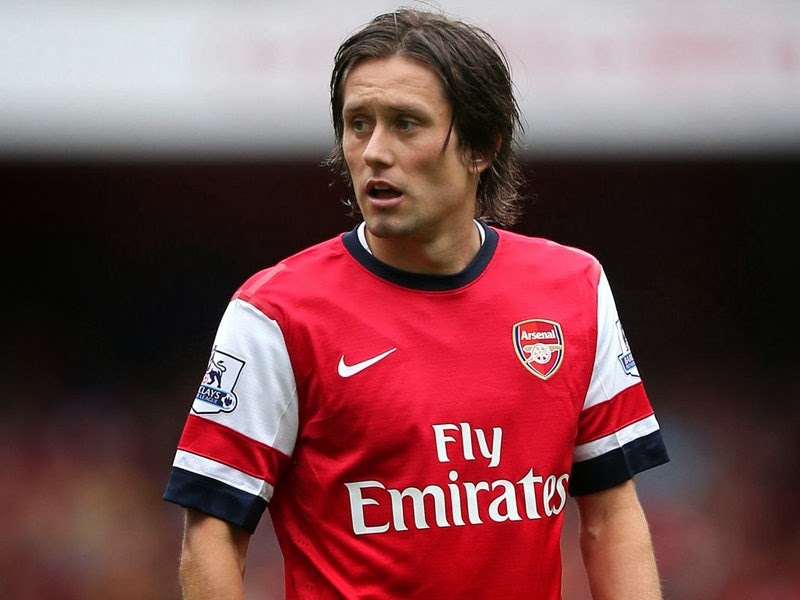 Bayern Munich are back in the running for Tomas Rosicky. The Arsenal midfielder's contract expires at the end of this season and the 33-year-old veteran Czech playmaker has yet to sign an extension. That's led to speculation in some quarters that Rosicky could be tempted by a move to Germany to see out his days with Bayern, who have long been linked with the player. The London Evening Standard claims that the reigning European and German champions are considering a surprise move for the Czech Republic international. Arsenal remain confident that Rosicky will commit his future to the club but Bayern’s involvement will test their resolve. Sources in Germany claim that while Pep Guardiola is thought to be an admirer of Rosicky’s, the club’s interest comes from a more senior level. Bayern wanted to sign Rosicky as far back as 2001 when the midfielder was at Sparta Prague but Borussia Dortmund won the race for his signature for a fee of 14.5million euros. He became the most expensive player in Bundesliga history and in his first full season Dortmund won the League title. Rosicky joined Arsenal in 2006 for £7m but Bayern continued to monitor his progress and the prospect of his availability on a free transfer has once again sparked their interest. A deal is improbable with Rosicky thought to be happy at Arsenal but Bayern hope a move to the current European champions — who the Gunners face in the last 16 – will tempt him to Bavaria. The timing of Bayern’s interest emerging lends itself to the possibility that Rosicky’s camp are using Bayern’s interest to leverage a better deal at Arsenal. Though he's started only seven Premier League matches this season, Rosicky is highly valued by Arsene Wenger, who often turns to his experience in the second half of matches.